In 1977, Explore Fairbanks was incorporated as the Fairbanks Convention and Visitors Bureau (FCVB) as a 501(c)(6) by a group of local business people. The handful of existing visitor industry small businesses recognized that world-class visitor product already existed in Fairbanks. They further recognized that the missing ingredient was the promotion of their product. “Destination marketing” was the proven method worldwide whereby competing visitor industry businesses coalesce to market the destination brand. In 1979, initiated by the FCVB, the local chamber of commerce, and the travel industry in Fairbanks, the City Council with the leadership of Mayor William Wood enacted a two percent hotel/motel tax, also known as “bed” or “lodging” tax. Their intent for the tax was clearly for economic development, especially destination marketing, as stated “…for the purpose of and shall be limited to the funding of tourist and entertainment facilities for the general public, to promote the tourist industry, and the economic development of the City of Fairbanks.” Ordinance #3793 established the bed tax; 90 percent was reinvested into FCVB and 10 percent to the Fairbanks Industrial Development Corporation (FIDC). In 1981, the visitor industry advocated a four percent increase in order to have more resources for destination marketing through the FCVB. Today the bed tax is eight percent. Under the leadership of the Fairbanks Chapter of the Alaska Travel Industry Association (ATIA) in 2000, representatives of the Fairbanks visitor industry and the community led and won an effort to remove a portion of the bed tax from the city tax cap, thus removing any threat to the formula for a stable city tax base. The Fairbanks City Council passed a new ordinance in early 2003 that has been in place since then. It stipulates that the tax should be distributed annually as follows: 22.5 percent to the City of Fairbanks; $400,000 among three entities including the Fairbanks Economic Development Corporation ($100,000), Golden Heart Plaza/Barnette Landing Maintenance ($30,000) and the Discretionary Grants program ($270,000); with the remaining to Explore Fairbanks. This “remaining” has translated into an average of 62 percent reinvestment into Explore Fairbanks’ destination marketing programs from 2004 through 2015. Since its inception in 1993, the Fairbanks North Star Borough (FNSB) - excluding those collected in the cities of Fairbanks and North Pole - bed tax has been used to cover shortfalls in the operational expense of the Carlson Community Activity Center. Before construction, the Carlson Center was billed as both a convention and a recreation center. In reality, the Carlson Center is a sports facility, primarily used for University of Alaska Fairbanks hockey games with the occasional hosting of concerts and meetings. Due to the growth in lodging facilities, the FNSB bed tax collected steadily grew. Beginning in 2002, FNSB reinvested bed tax collections into destination marketing via Explore Fairbanks. Since 2004, FNSB fiscal year budgets have appropriated 65 percent of a projected tax to be reinvested into the Explore Fairbanks destination marketing program. Subsequently, except for two years, the actual amount collected has exceeded the projected amount. Therefore, the actual amount reinvested into Explore Fairbanks has been less than 65 percent, averaging 60 percent from 2004 through 2015. Lastly, with the construction of a hotel within the North Pole City limits in 2009, the City of North Pole began collecting an eight percent bed tax with the stated purpose of funding services for the promotion of economic development, including the tourist industry, and for the funding of services for the general public. Since then, the city’s formula for distribution has varied from year to year. From 2010 through 2015, North Pole reinvested 6 percent of the total into the destination marketing programs of Explore Fairbanks. In 1988, the FCVB purchased the Log Cabin at the corner of 2nd Avenue and Cushman Street from the Greater Fairbanks Chamber of Commerce (GFCC). The cabin was constructed in 1958-59 for the GFCC. Nicknamed the “All Alaska Cabin,” it was built entirely of Alaskan products. The log cabin was dedicated in memory of George Nehrbas, a longtime Fairbanks resident and local businessman who founded the idea of constructing the building. In April 1999, the Alaska Public Lands Information Center (APLIC) and FCVB held meetings to ascertain the possibility of co-locating under one roof. With significant limitations in their respective physical sites and buildings, both agencies had been exploring options for new locations for a number of years. APLIC was in a basement location with no immediate parking and FCVB had outgrown its Log Cabin. Seeing more than 130,000 visitors a year, FCVB was unable to handle the volume of visitors in its restrooms and had very limited parking nearby. A decade or more prior to 1999, the Tanana Chiefs Conference (TCC) was developing its vision of a cultural center dedicated to celebrating Alaska Native culture in the Interior and educating people about the rich traditions of more than 10,000 years inhabiting these lands. Unbeknown to each other, APLIC along with FCVB and TCC separately approached US Senator Ted Stevens for possible federal funding for the capital costs of the project. The Senator was very positive about the projects but, knowing how organizations struggle with operations and maintenance (O&M) costs, he suggested a partnership among all three groups under one roof in order to cover O&M costs through lease payments. The Senator also requested that the facility be named after his good friend Morris Thompson. A respected Alaska Native leader and business person, Morris died in a tragic plane crash in early 2000 along with his wife and daughter. With the first planning grant, a feasibility study was released in December 2000. In October 2008, FCVB moved into the Morris Thompson Cultural and Visitors Center (MTCVC) at the corner of Dunkel Street and Wendell Avenue in downtown Fairbanks. The MTCVC houses five non-profit organizations: APLIC run by the National Park Service, Alaska Geographic, TCC Cultural Programs, Denakkanaaga and FCVB. The partnership created the sixth non-profit, MTCVC, the organization which owns and operates the facility. A $30 million capital project, the O&M costs for the 38,000 square-foot building are covered by the partner organizations. Concurrently, the FCVB leased the Log Cabin to the Yukon Quest International Sled Dog Race which continues to reside in this cabin which is now owned by the City of Fairbanks. Explore Fairbanks staffs the MTCVC seven days a week year-round. Explore Fairbanks also maintains brochure racks at the Fairbanks International Airport and the Alaska Railroad Depot and staffs the visitor information cabin at Pioneer Park during the summer. Effective January 1, 2014, the Fairbanks Convention and Visitors Bureau (FCVB) announced that the organization will be doing business under the new trade name of Explore Fairbanks. After years of deliberation, the FCVB Board of Directors approved the change to a more succinct and contemporary name to assist in promoting the Fairbanks region brand in the competitive destination marketplace. The FCVB already had brand equity in “Explore Fairbanks” with nearly two decades of incorporating this phrase into the organization’s website and email addresses. The Explore Fairbanks logo incorporates graphics to symbolize the aurora borealis and midnight sun which are two key natural phenomena that distinguish the Fairbanks region, including Alaska’s Interior and Arctic, from most destinations around the globe. Around 2001, FCVB began the maturation from a marketing-only organization to one that collaborates with industry and community partners to develop tourism infrastructure with positive benefits to the industry as well as tourism businesses. In short, Explore Fairbanks continually challenges itself to grow as a destination marketing and management organization. Established in 2006, the Public Policy Advisory Committee has been at the forefront of many of these efforts. The committee reports directly to the Board of Directors. Explore Fairbanks initiated and worked to secure approval and funding for downtown wayfinding signage. This pilot program is part of the “complete streets” project on Cushman Street which was implemented in summer 2016. Conversations have begun to further expand the signage program. Explore Fairbanks guided the team that negotiated direct flights to establish Fairbanks as the smallest US market with nonstop flights to both Europe and Asia. Regarding Europe, Explore Fairbanks played a pivotal role in securing flights from Frankfurt-based Condor Airlines, including coordinating business partners within and without the tourism industry to secure a risk abatement for the second year of service. All of the partners received the money back in full with some interest gained. These once-weekly, summer season flights have been operating since 2001. Regarding Asia, directly through the efforts of Explore Fairbanks - without the use of risk abatement funding - Japan Airlines (JAL) began with three charter flights directly to Fairbanks from Tokyo’s Narita International Airport in winter 2004-2005 for aurora viewing. JAL expanded to late summer service in 2005. Since then, in addition to JAL, several other airlines have carried guests from Japan, including Korean Air, Uzbekistan Airlines and All-Nippon Airways. In 2005, Explore Fairbanks won the coveted Destiny Award from the United States Travel Association (then the Travel Industry Association of America) for the initial flights from Japan. China Air began aurora season charter flights direct to Fairbanks from Taiwan in December 2015. Explore Fairbanks initiated the effort and worked closely with Fairbanks International Airport to lure alternative domestic service, including securing a Small Community Airport Service Development grant in 2006. The inaugural flight for Frontier Airlines summer service was May 14, 2010. As a result of the first two successful seasons, no risk abatement monies were required. In summer 2014, Explore Fairbanks led and coordinated the effort that resulted in increasing Customs and Border Protection personnel from three to six year-round employees to be based at Fairbanks International Airport. This benefited tourism and downtown businesses as well as private jet and commercial air traffic. Focused efforts on marketing winter as the “Opportunity Season” began in 2000. 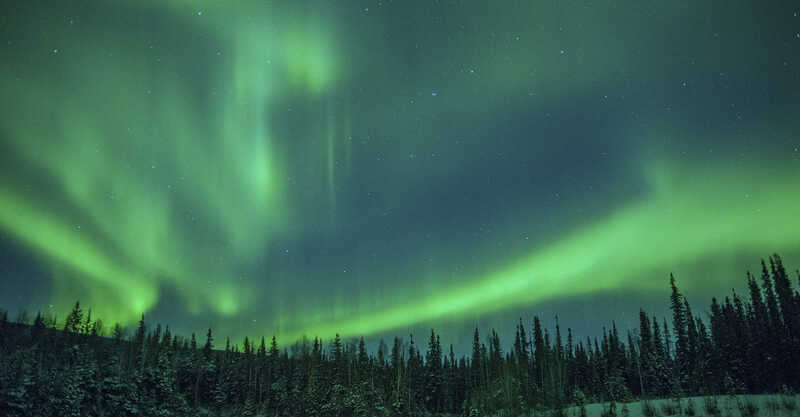 With its business partners, Explore Fairbanks also has evolved the “aurora season” promoting the period August 21 through April 21 as opportune dates for aurora viewing in the Fairbanks region, thus encompassing late summer, winter and spring months. The combined strategies were recognized in 2013 when the destination was cited on three top ten lists: Lonely Planet, National Geographic and LA Times. Throughout the recession that began in 2009, hotel/motel tax collections in the October through April winter months increased. As an advocate for the promotion of winter by the State of Alaska, Explore Fairbanks led a statewide Winter Tourism Summit in October 2013. As a precursor to the statewide summit, Explore Fairbanks coordinated a local winter tourism summit in July 2013 with more than 60 attendees. With the increased success of winter season promotions, the Alaska Railroad has steadily increased the winter train schedule since 2013. With Fairbanks’ urging, Denali National Park and Preserve now plows the park road to mile 13 in February, marking an earlier date to accommodate winter visitors. Explore Fairbanks mainstreamed product development projects into the overall strategic plan with an unprecedented partnership among six Alaska Native and governmental agencies and the DMMO as manifested in 2008 when they co-located in the $30 million Morris Thompson Cultural and Visitors Center. In addition to extraordinary visitor services and introduction to Fairbanks, Alaska’s Interior and Arctic, this facility has also become – as intended – a community gathering place for school groups, Alaska Native organizations, First Fridays and many other events. Explore Fairbanks initiated and worked to secure approval and funding for downtown wayfinding signage. This pilot program is part of the “complete streets” project on Cushman Street which was implemented in summer 2016. Conversations have begun to further expand the signage program. Explore Fairbanks initiated and worked to secure approval and funding for a Recycling Legacy Project beginning implementation in March 2014 during the Arctic Winter Games held in Fairbanks. In the short term during the week of the Games, the “Green Team” coordinated by Explore Fairbanks collected more than 8,000 pounds of recyclables. Leading a workgroup established to advance the recycling effort, Explore Fairbanks is working with multiple partners to execute the legacy project to place recycling bins in public places throughout the community. 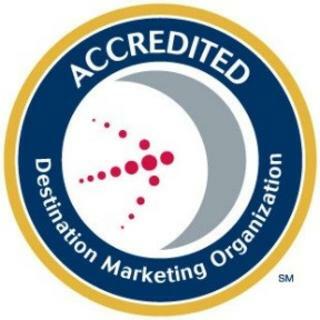 In July 2014, Explore Fairbanks was awarded accreditation from the Destination Marketing Accreditation Program (DMAP) of the Destination Marketing Association International. Explore Fairbanks was the first destination marketing organization (DMO) in Alaska to attain the DMAP accreditation. DMAP’s globally recognized accreditation serves as a visible industry distinction that defines quality and performance standards in destination marketing and management. The rigorous accreditation standards set by DMAP cover a wide variety of topics including governance, finance, management, human resources, technology, visitor services, group services, sales, communications, membership, brand management, destination development, research/market intelligence, innovation and stakeholder relationships. Achieving DMAP accreditation as a DMO is a valuable recognition for Explore Fairbanks that assures business partners, stakeholders and potential visitors that the DMO has reached a significant measure of excellence. Explore Fairbanks upholds the DMAP Organizational Code of Ethics. Fairbanks North Star Borough School District “2017 Partners In Education Award for Outstanding Non-Profit Partner” for providing volunteer time in support of the College and Career Fair and for volunteer leadership on the Career and Technical Education Advisory Committee. Downtown Association of Fairbanks “Downtown Star Award” on October 25, 2017 for leading and participating in the momentous long-term opportunities for downtown’s revitalization and community growth.